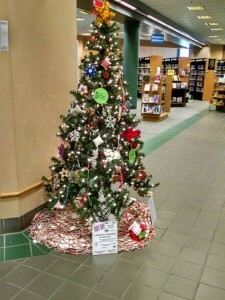 Thanks to all who contributed by making ornaments and decorating our Christmas tree at the Huntsville Main Library. As you can see, the tree looks great. Huntsville Fiber Guild wishes everyone Happy Holidays and endless good fortune in the coming new year.